Minnah's life 2017. Powered by Blogger. Spooky season is here and I'm very excited about it. Even tho, Halloween was never a thing in a place where I live, I always loved to see all amazing costumes and great face art. As a lot of you know, I'm a huge fan of ROSEGAL, and I feel like a half of my closet is from this site. Prices are very great and I thing that everyone can afford things from this site. 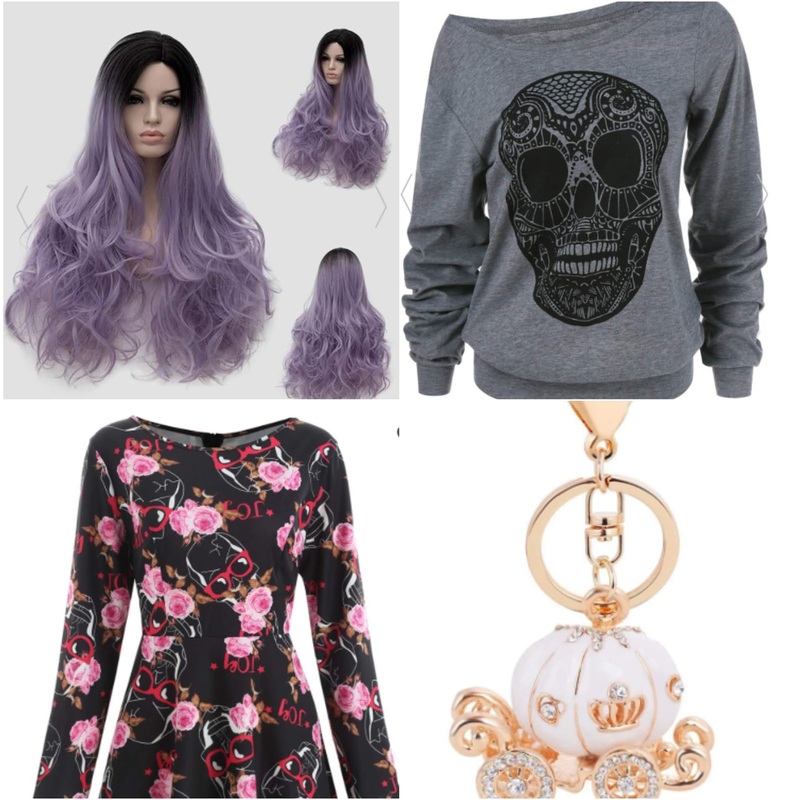 Today I want to share with you some cute things for Halloween and I hope that you'll like them! 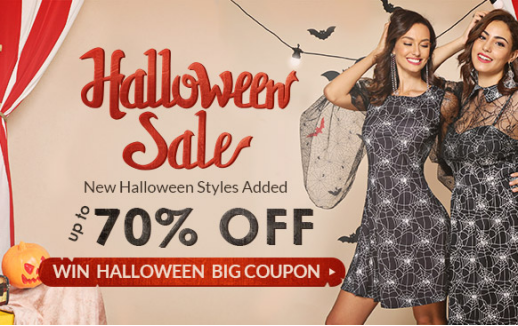 Just click here --> ROSEGAL HALLOWEEN SALE and you'll find a lot of spooky things. You guys, I totally love this wig, I'm not brave enough to color my hair in this color but I'm sure I could rock this wig like a real hair. It'a perfect for Halloween, but also for every other day. Since fall is here, it's important to stay healthy and keep ourselves warm, so this sweater is perfect for it, but also you can wear it as a costume, I mean it has a skull on it, right? This is such a cool dress to wear it all year around, not only for a holiday but also for every day. Very nice print btw. My 13 year old self is loving this. Lastly, I found this cute keychain and I'm in love. It reminds me of Cinderella so mcuh, recently I moved and I don't have a keychain on my key, so this one will be perfect. Thank you for Amazing post Dear!! 19 yrs old girl in love with fashion, photography, animals and writing.